Ho ho holy moly it's nearly Christmas! 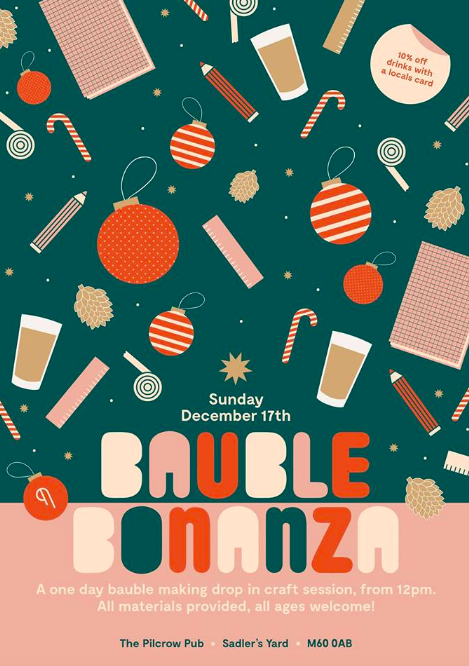 The Sunday before Christmas Eve we are hosting a decorate your own bauble event to really get you all in the spirit of Christmas, if you haven't already! We will have more pom poms, glitter, googly eyes and felt than you can shake a candy cane at!